The University of Maine at Presque Isle will present U.S. Senator Susan M. Collins—a County native and key leader in the U.S. Senate—as the first guest speaker in its 2015-2016 Distinguished Lecturer Series. Senator Collins will deliver her talk, Can an Institutionalist Be a Change Agent?, on Thursday, Sept. 3, at 4 p.m. in the Campus Center. This talk is free and the public is invited to attend. During her talk, Maine Senator Susan Collins will discuss her years in Washington, D.C. and her work in facilitating bipartisan compromise. First elected in 1996, the Senator is serving her fourth term in the United States Senate. She has never missed a roll-call vote, casting nearly 6,000 consecutive votes, and has shown leadership in critical areas ranging from homeland security, national defense, and disaster response, to education, business development, and health care. In 2014, ELLE Magazine named her one of the “most powerful women in D.C.” Senator Collins has also been named “Guardian of Small Business” by the National Federation of Independent Businesses and has received honors from other groups ranging from the Veterans of Foreign Wars Association to the National School Boards Association. This year, Senator Collins was ranked the most bipartisan member of the U.S. Senate in a non-partisan index by the Lugar Center and Georgetown University. Currently serving as the Chairman of the Senate Special Committee on Aging, Senator Collins has had a long-standing interest in health care. In 1997, she founded the Senate Diabetes Caucus and has led the effort to more than triple federal funding for diabetes research. As Senate co-chair of the Congressional Task Force on Alzheimer’s Disease, she has worked to increase funding for Alzheimer’s research and to strengthen support for family caregivers. She also led the fight to restore critical funding to Medicare so that elderly and disabled residents can receive needed care in their own homes. 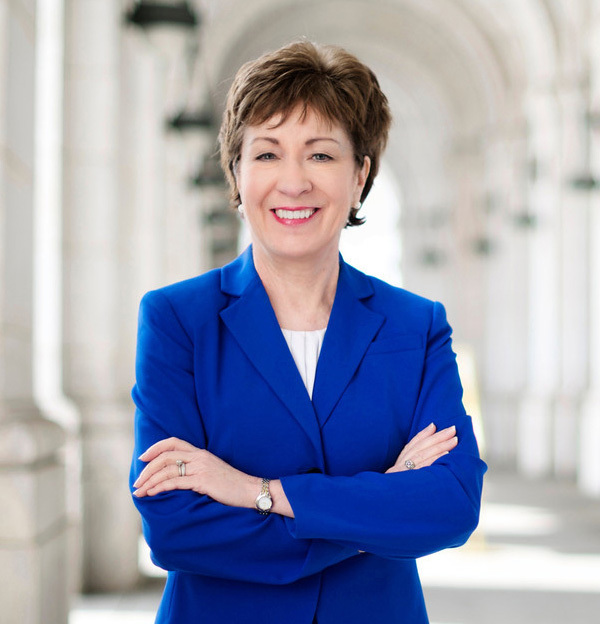 A recipient of the U.S. Navy’s highest civilian honor, Senator Collins has successfully fought for increased funding for Navy shipbuilding to support the jobs of the men and women at Bath Iron Works , Maine’s largest private employer, and has been recognized and been a strong advocate for the Portsmouth Naval Shipyard in Kittery. She has also advocated for the Maine Military Authority and the Defense Finance and Accounting Services Center in Limestone, as well as the Air National Guard base in Bangor and the Maine Army National Guard. Today, Senator Collins continues her national security work as a member of the Select Committee on Intelligence. She also serves on the powerful Senate Appropriations Committee, where she not only is the Chairman of the Transportation Appropriations and Housing Subcommittee, but also is a senior member of the Defense Appropriation Subcommittee. 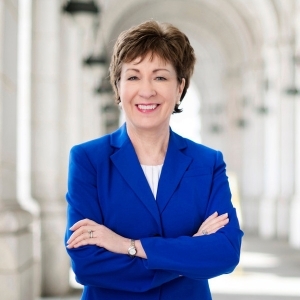 Senator Collins was born and raised in Caribou, where her family runs S.W. Collins, a fifth-generation lumber business, founded by her ancestors in 1844. A Phi Beta Kappa graduate of St. Lawrence University, she is married to Thomas A. Daffron and resides in Bangor. All are invited to attend Senator Collins’ Sept. 3 talk. For more information about this event, contact the University’s Community and Media Relations Office at 207-768-9452.